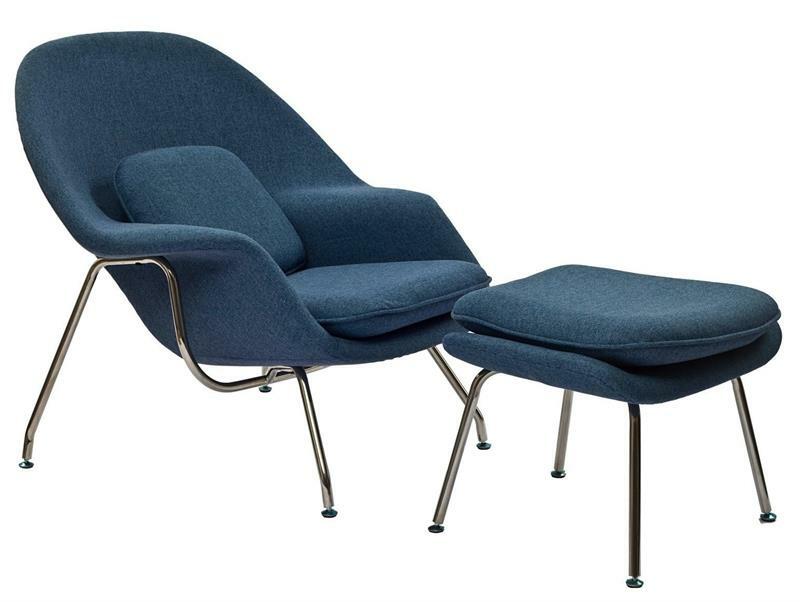 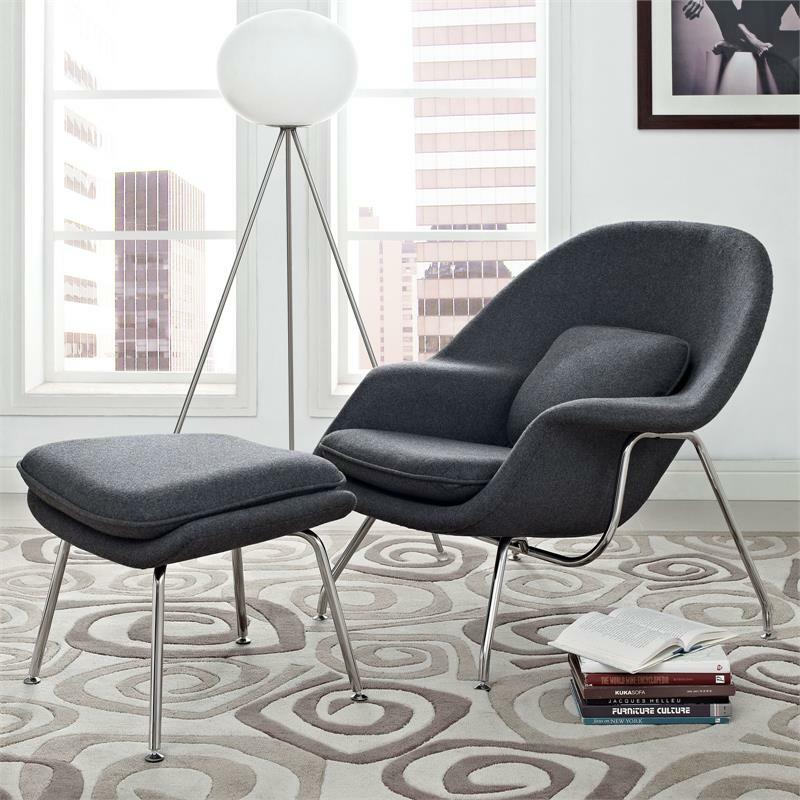 Wombat Lounge Chair and Ottoman is a classic modern reproduction of Eero Saarinen's Womb Chair which was originally created in 1948. 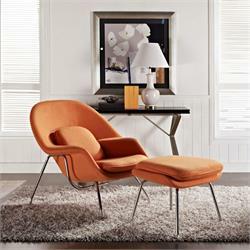 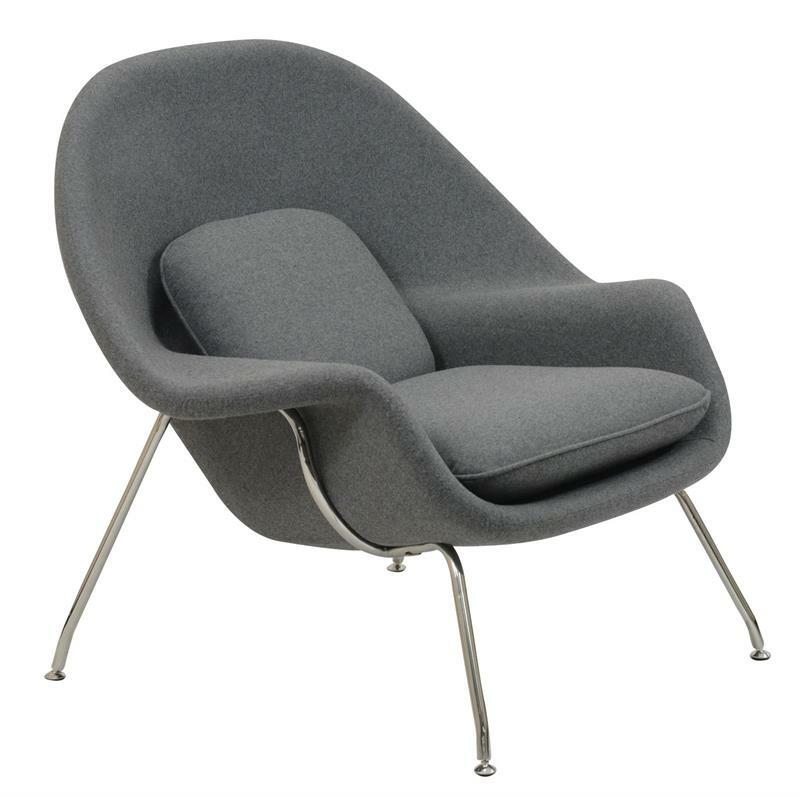 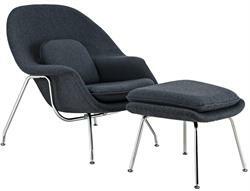 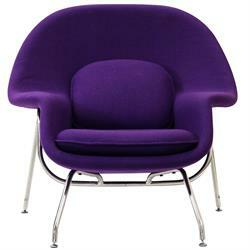 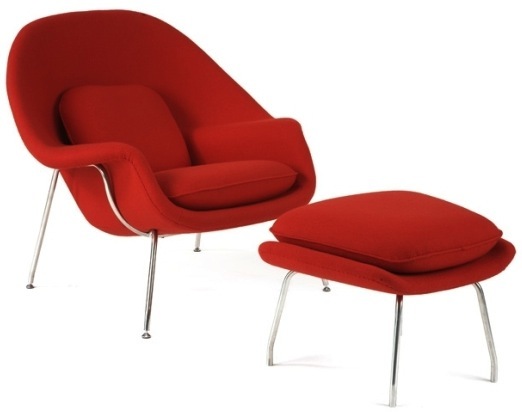 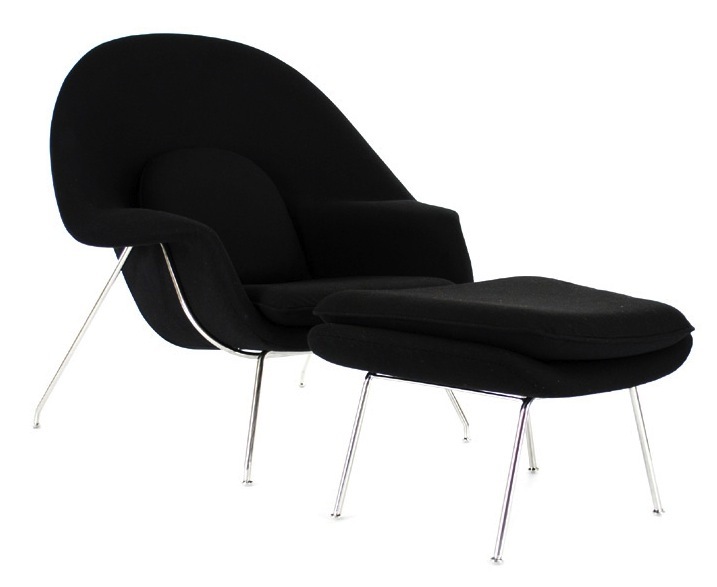 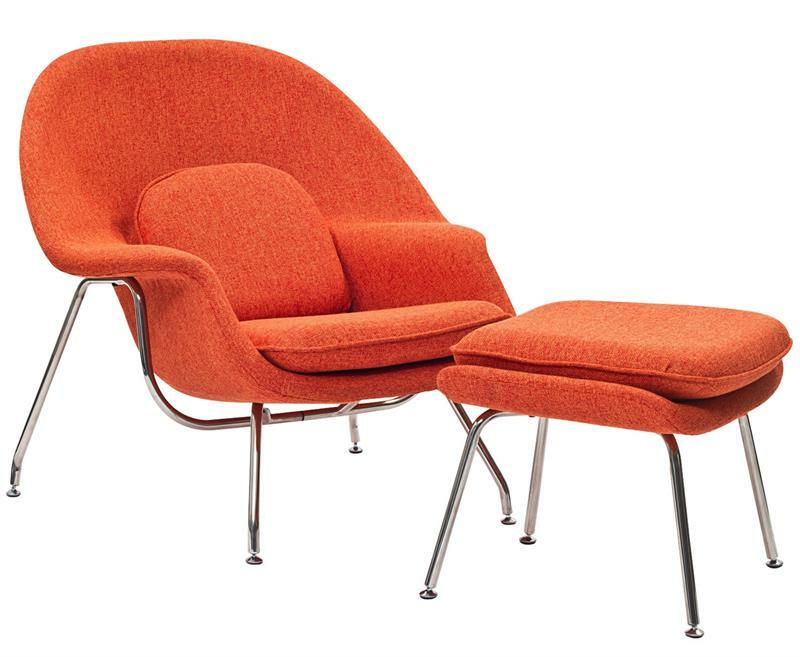 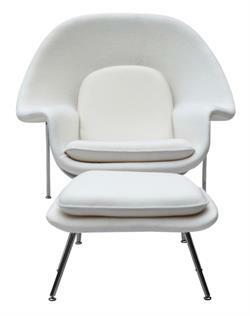 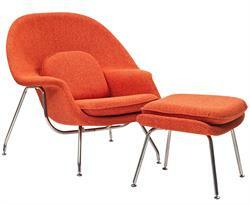 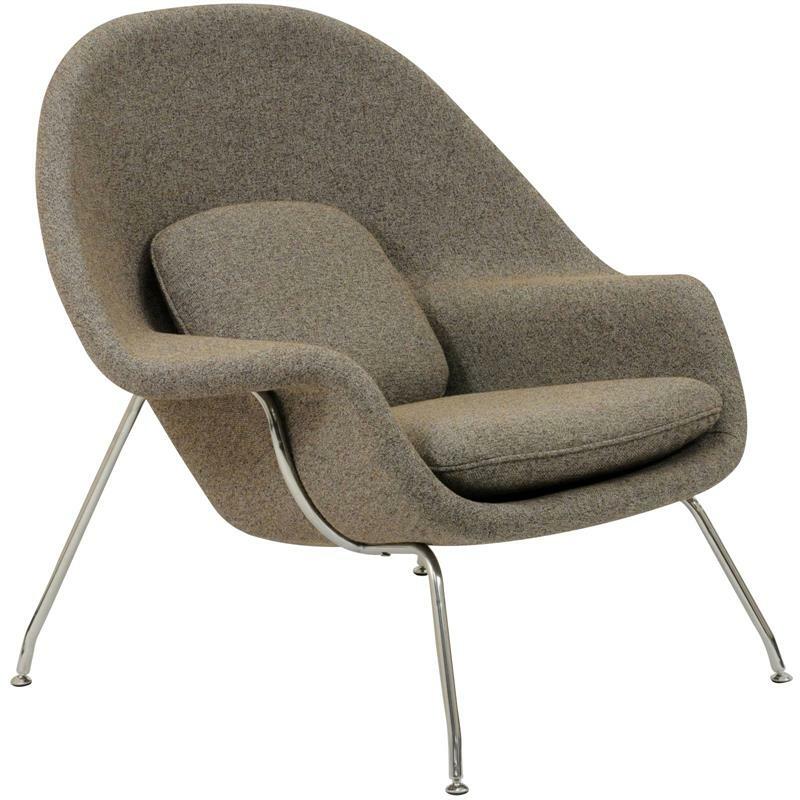 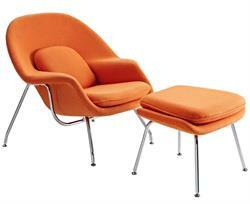 The famous Womb Chair is one of the most comfortable chairs to lounge in. 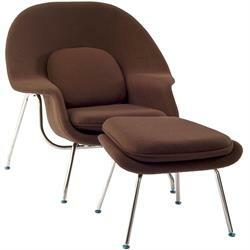 It envelops you in such a way that you feel completely relaxed. 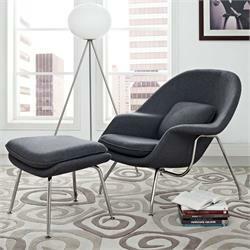 The Wombat Chair and ottoman features a stainless steel base and comes with foot caps to prevent scratching on floors. 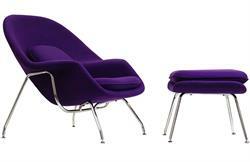 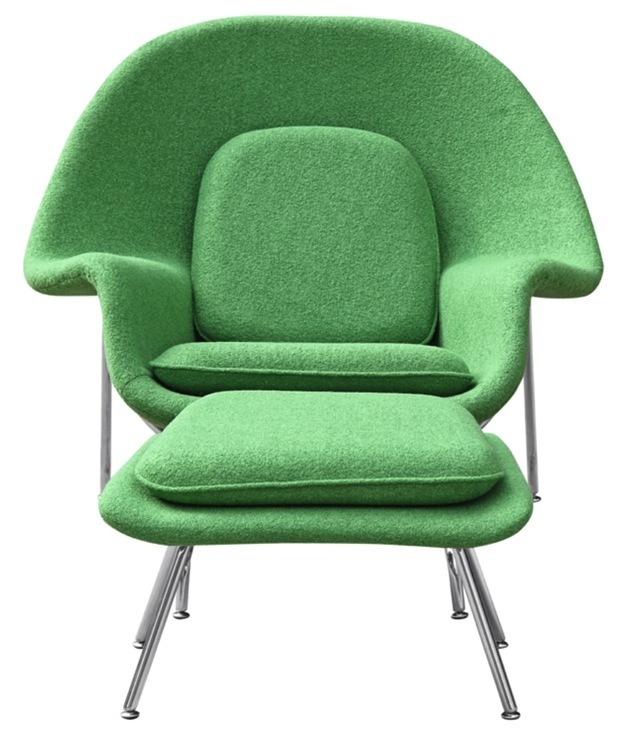 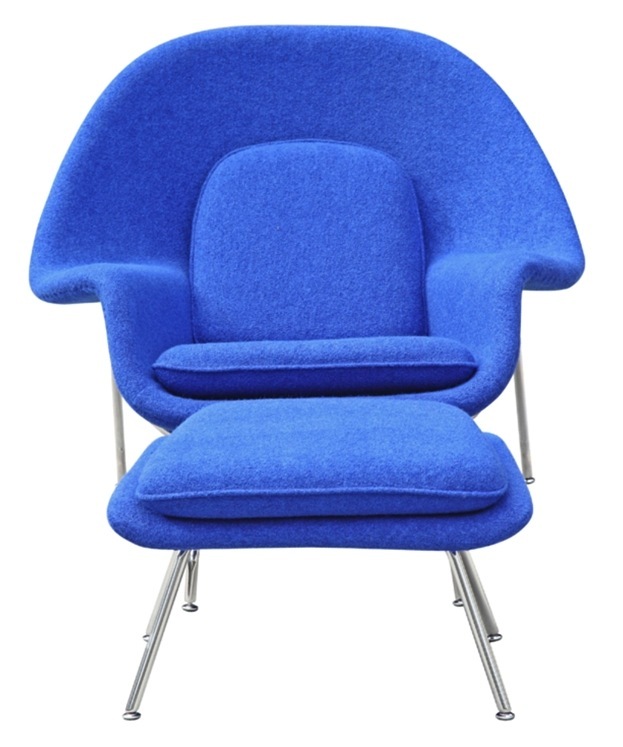 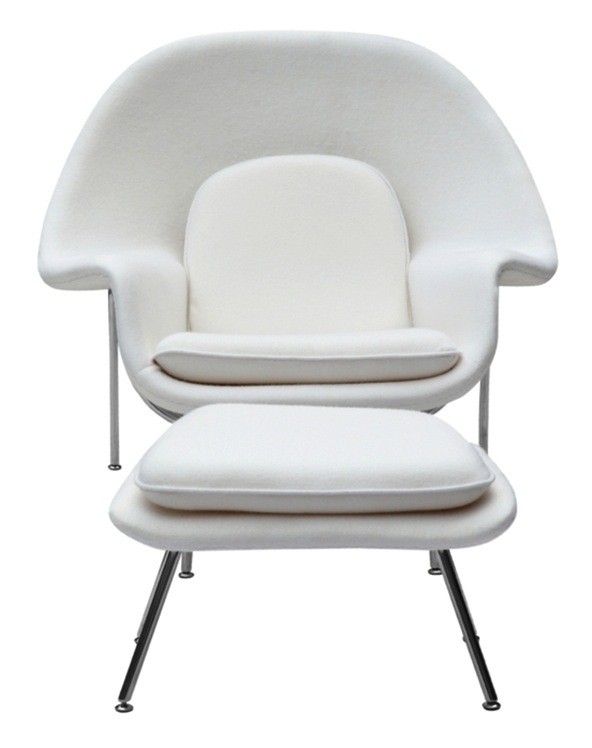 The shell of the Womb chair and ottoman is made of molded fiberglass with foam padding and is fully upholstered in wool. 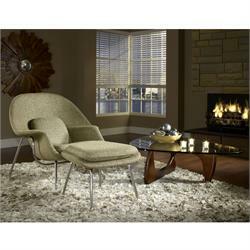 Our high quality reproduction Womb chair and ottoman is available in color of your choice - choose the best option to compliment your décor.